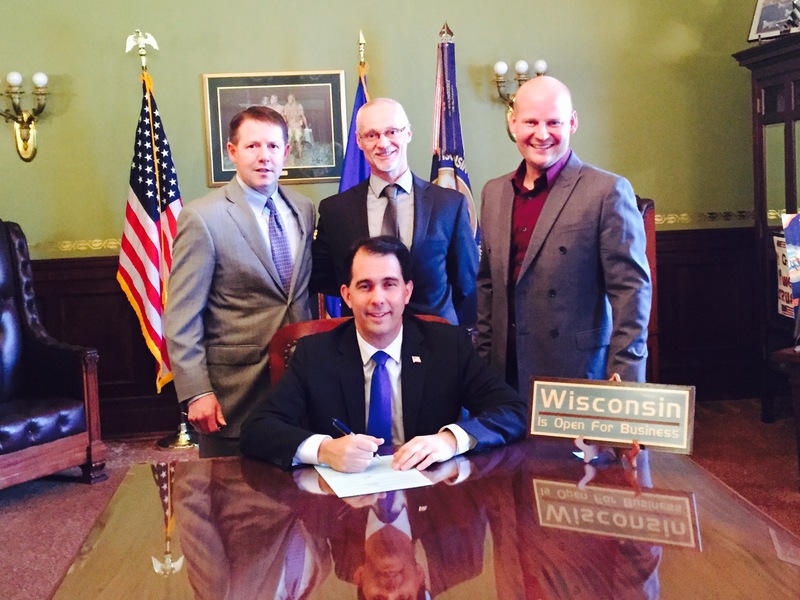 Eau Claire, WI – Weld Riley Attorneys John Behling and Rich White announced after many hours of crafting and revising legal language, new legislation has been signed into law by Wisconsin Governor Scott Walker granting greater access to music festivals for young people. “It’s exciting to be part of something that will impact hundreds of thousands of people. This is common sense legislation and it’s great to get this accomplished,” Behling said. Governor Scott Walker signed Assembly Bill 194 into law which allows an unaccompanied underage person to be present during a music festival at a venue that has been issued an alcohol beverage license. Under current law, a person under 21 years of age may not be on the premises of a site that has been issued an alcohol license unless they are accompanied by a parent, legal guardian, or spouse. By adding music festivals to the list of exceptions, unaccompanied minors will now be allowed to attend a music festival where alcohol is being served as long as the attendance at that music festival is expected to be more than 2,500. The bill passed the Assembly on a voice vote and was concurred by the Senate on a voice vote. “Weld Riley has a long history of being involved in groundbreaking legal matters both at the local and state level. Wherever our clients need our help, whether it’s on main street or at the state capital in Madison, we’re there to provide skilled counsel,” White added.